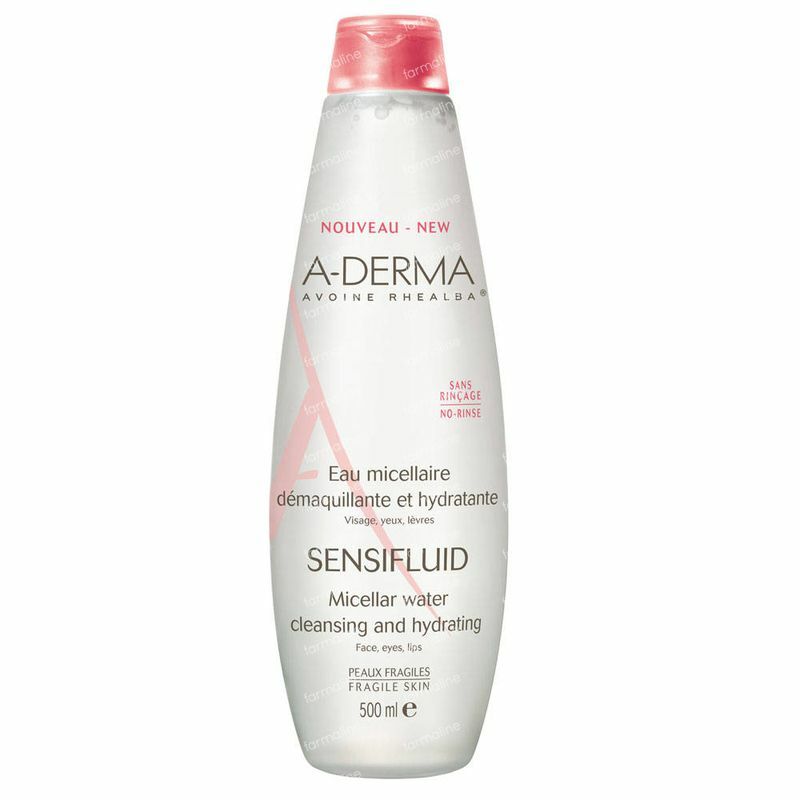 A-Derma Sensifluid Micellar Water 500 ml order online. I have fragile skin. Wheather I am wearing make-up or not, I am looking for a hygiene care product that gently cleanses my skin and leaves a fresh feeling. I don't like products that have to be rinsed off with water. Instead, I prefer to use a cotton pad to remove it. I need a product that is efficient and that can be used for the face, the eyes and lips. 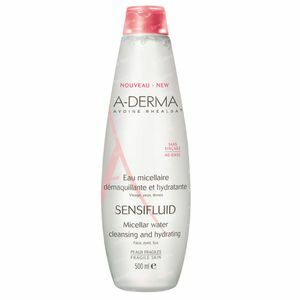 Cleansing, make-up remover water for sensitive skin. Apply to the face and eyes using a cotton pad. No need to rinse. Aqua, Poloxamer 184, PEG-6 Caprylic/Capric Triglycérides, Pentylene Glycol, Avena Sativa (Oat) Kernel Extract (Avena Sativa Kernel Extract)*, Hamamelis Virginia (Witch Hazel) Water (Hamamelis Virginia Water), Phenethyl Alcohol, Phenoxyethanol, Propylene Glycol, Sodium Chloride, Trisodium EDTA.